Welcome my friends! I’m so delighted you are visiting our community today. It is always good to see you. Today I want to share what I’ve learned about Eucalyptus Essential Oil. This Oil is probably one you remember from childhood. Then, as now, it was known as Vick’s Vapo Rub. I loved the smell of Vick’s! I always felt better after a night all slathered down in that stuff! hen, as a mother, I used it on my babies & watched it heal them. Now, coming full circle, I’m seeing my kids treat their kids the same way. 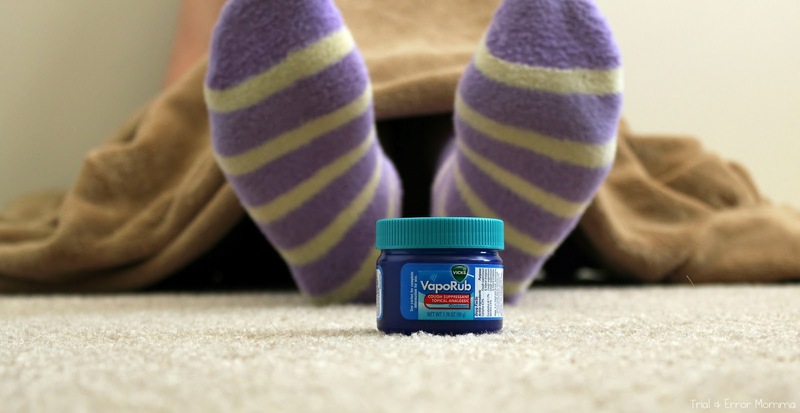 Vick’s Vapo Rub. The first time I inhaled the aroma of Eucalyptus Oil, my memories took me straight back to childhood. That’s when I learned Eucalyptus Oil is the main ingredient to Vick’s. A few years ago I went to the doctor with my husband. I had a cough & congestion. After the doctor was finished with my husband he told me to take a couple of fresh garlic cloves, slightly crushed, a few drops of Eucalyptus Oil & boil them together in a pot of water. Once boiling, remove the pot from the heat, tent myself, breathing deeply. That particular bottle of Eucalyptus Oil was not an Essential Oil. I didn’t know it then, but, it wasn’t a requirement. That Oil came in a large, clear plastic bottle from our local health food store. An Essential Oil will always come in an amber or other colored glass container. We discussed this in “Synthetic Oils vs Essential Oils”, published on June 17, 2017. 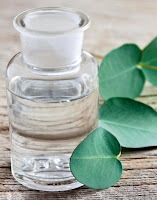 So, let us learn about Aromatherapy’s Eucalyptus Essential Oil. 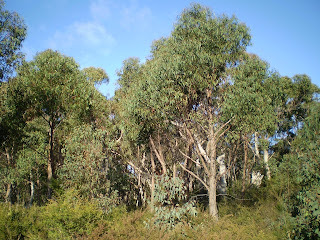 There are several species of Eucalyptus. There is Eucalyptus radiata* (aka Black Peppermint Essential Oil) & Eucalyptus citridora (Lemon Eucalyptus Essential Oil). The one we use the most would be Eucalyptus globulus. It has a strong medicine aroma, a fresh woody & earthy fragrance. The Eucalyptus Tree is a native of Australia, but is also found in Brazil & Spain. The Australians have used parts of this tree for its medicinal purposes for generations. 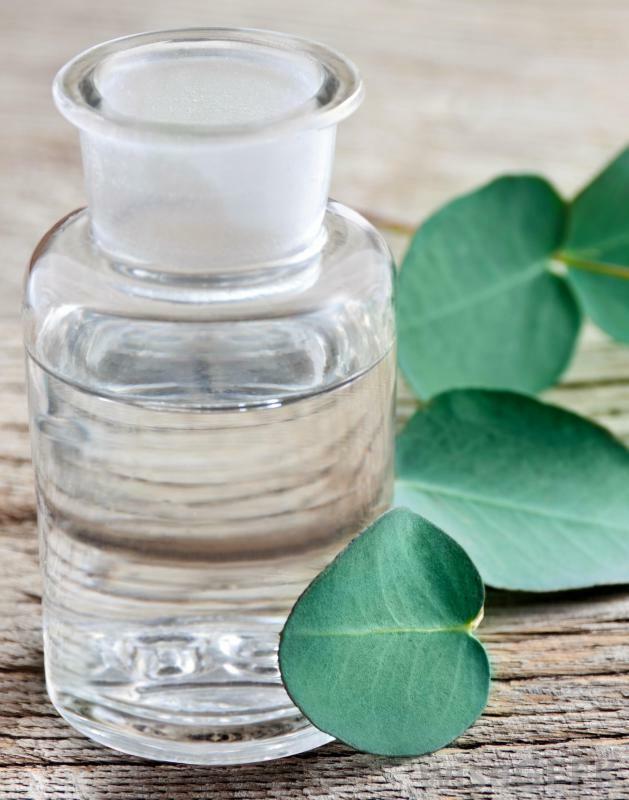 You can find a bottle of Eucalyptus Essential Oil in almost every home. It’s used to clean & disinfect the house. When used as a rub or inhalant it can clear your breathing. Leaves from this tree have been used to “bandage” wounds, aiding in quicker healing time with less scarring. 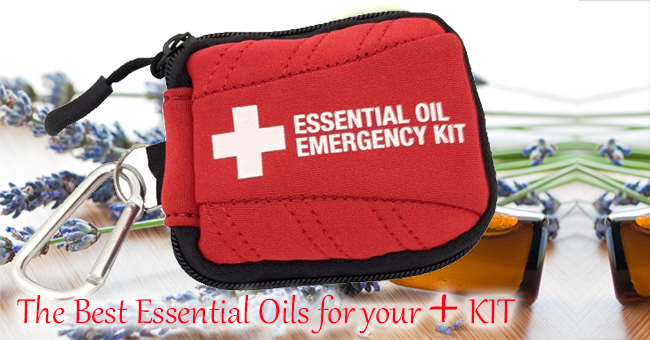 Eucalyptus Essential Oil has so many uses it really needs to be a part of your first aid kit. It’s antibacterial, antifungal, anti-infectious, anti-inflammatory. It can be used as an anti-rheumatic, antiseptic, deodorant, bug repellant & an expectorant. It eases bronchitis, coughs, cold & flu systems. It soothes ear infections, arthritis, rheumatism & muscle pains. Reduces acne, cleanses minor wounds, eases diabetic systems & boots your immune system. Eucalyptus is antimicrobial & antiviral. There is research that shows Eucalyptus Essential Oil has been successful in helping people with Asthma, Pneumonia & Tuberculosis. Because of its cooling & refreshing aroma, Eucalyptus Essential Oil is a natural stimulate. Rejuvenating your spirits when you’re under the weather. It has been effective in the relief of stress disorders. 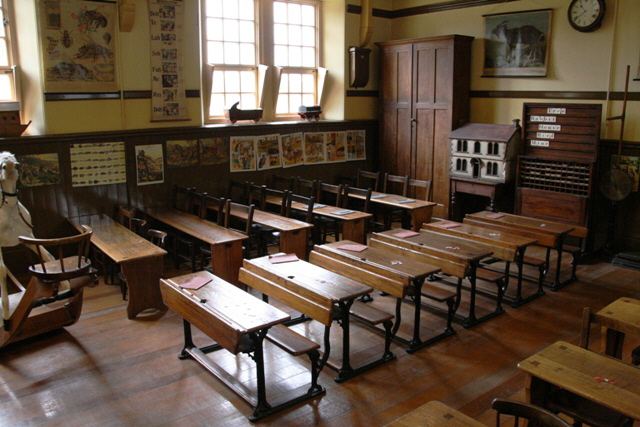 Eucalyptus Essential Oil is employed in some classrooms. The oil is considered a vasodilator, meaning it increases the blood flow, relaxing blood vessels which allows blood to circulate more efficiently. This means more blood to the brain, in turn increasing student performance. That’s just what it can do on its own. When you blend Eucalyptus Essential Oil with other Essential Oils, like Lavender, Ginger, Peppermint, Grapefruit, Tea Tree & so many others, your options are limitless!! Mix Eucalyptus Essential Oil & Peppermint Essential Oil with distilled water in a spray bottle. Spray on the body to use as a deodorant or to reduce a fever. Mix with a carrier oil & rub on the chest to open up the nasal, sinus passages & the lungs. Equal drops of four each of Eucalyptus Essential Oil & Lemon Essential Oil can elevate the mood in a room. Five drops each of Eucalyptus Essential Oil & Tea Tree Essential Oil will transport you to either a lighthearted episode, or maybe a romantic interlude. Either way it’s bound to improve one’s mood. Stuck inside on a snowy day? Try diffusing two drops each of Eucalyptus Essential Oil, Peppermint Essential Oil & Orange Essential Oil. Use it to cheer up the atmosphere. Because Eucalyptus Essential Oil is antibacterial, antifungal, anti-infectious, antimicrobial & antiviral it’s perfect for cleaning surfaces around the house. Mix it with baking soda, white vinegar, Tea Tree Essential Oil & for the tough rings, add borax, Lavender Essential Oil & Peppermint Essential Oil. Well, my friends, I pray you have found some value from my journey. What else are we here for it not to share our journeys & learn from others in our community? I thank you for your time & look forward to speaking with you again. Til next we meet, my friends, Be Blessed. 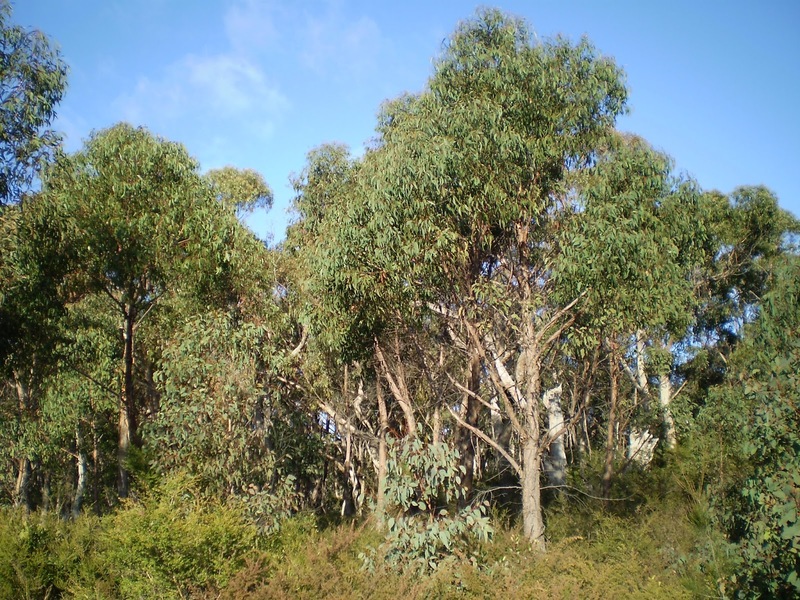 * Eucalyptus radiata is one of the Essential Oils used in Thieves Oil. Thieves Oil is a blend of 5-6 Essential Oils. It received its name from the Bubonic Plague. During the 15th century the bubonic plague was epidemic status & naturally was affecting the merchants & trade. So, a group of these merchants, knowing the ability of Essential Oils, created a blend that protected them from the killer disease. That allowed them to rob the bodies of any valuables & then sell them, making a very lucrative living from it. When the king learned of this group of merchants, he had them brought in to learn their secret. Once the king had the blend, he ordered it to be mixed as quickly as possible & provided to the people.